An example of the benefit of probiotics can be found in of the impact of yogurt consumption on the gut microbiome. Yogurt is a calcium-rich food. Depending on the type of yogurt, one serving may provide 200 to 450 milligrams of calcium. Recent research suggests the beneficial effects of yogurt may go beyond just the calcium content. Yogurt also contains fermented dairy products and probiotics, which were found to be beneficial for bone health in animal laboratory experiments. Bacteria contained in yogurt ferments the milk. The possible protective effect of fermented dairy products on postmenopausal bone loss led Swiss researchers to examine yogurt consumption in healthy men and women who were recruited at the age of 65. This study included 733 healthy postmenopausal women who underwent bone mineral density (DXA) scan at baseline and again three years later. At the beginning of the study, women who consumed yogurt had higher bone density and were thinner than women who did not consume yogurt. At the follow-up assessment three years later, women who ate at least one serving of yogurt a day had less bone loss than those who did not eat yogurt. These findings were independent of any other factors that could account for differences in bone density, such as physical activity, protein and total calcium intake. Also the number of fractures trended toward a lower rate: 19 percent among yogurt consumers versus 29 percent for nonconsumers. 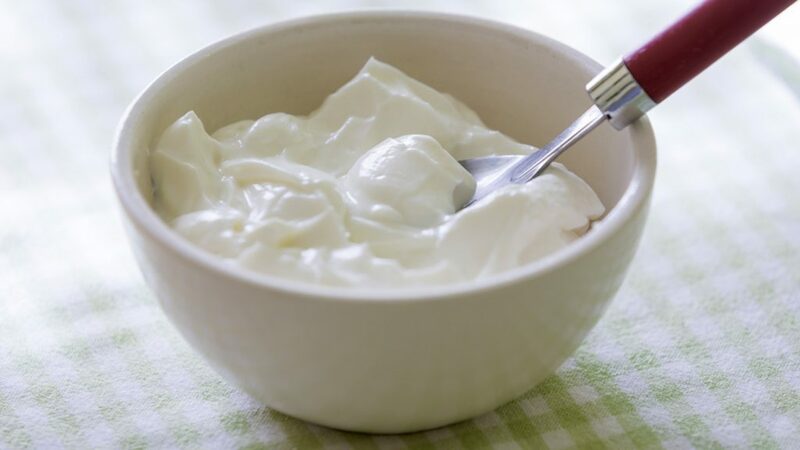 The researchers hypothesize that bacteria contained in yogurt populate the large intestine, where it improves calcium absorption and decreases inflammation. They suggested that the protective effect of yogurt on bone has to do not only with calcium and protein but also the fermentation that happens in yogurt, all three of which are believed to be good things for bone health. To prove these findings, a randomized clinical trial is needed. In the meanwhile, you might consider eating yogurt once a day. It can’t hurt and it just may help not only your gut microbiome but your bones, too. Try it! Reference: Biver E, et al 2016 Yogurt consumption is associated with attenuated cortical bone loss independently of total calcium and protein intake and physical activity in postmenopausal women. J Bone Miner Res 31 (Suppl 1). Available at http://www.asbmr.org/education/AbstractDetail?aid=1c27565e-384d-44cb-a5c6-7973f82cd8a1. Accessed January 14, 2017.